Be the first to know when our app is available on the App Store. Connect with your friends and start shaping the strategy together. Trade effortlessly with Integrated Brokers Capability and real-time market data. Hire, assign and customize bots to simplify life and to seize the best opportunities. 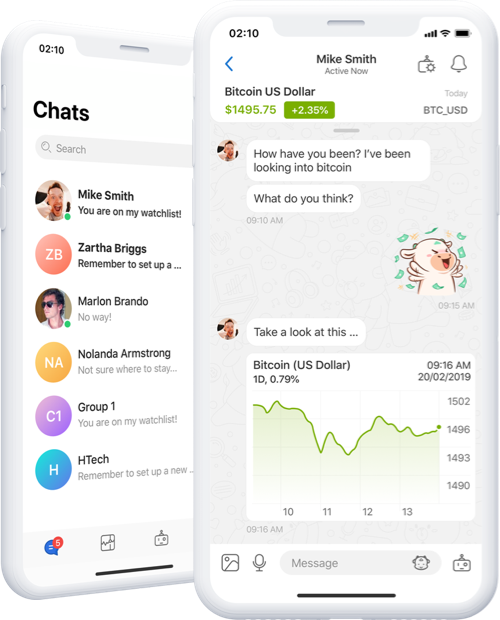 Access and share market data instantly without leaving the chat screen. Tell more, Type less. Say it better with our expressive stickers. Seize more opportunities with our smart bots. 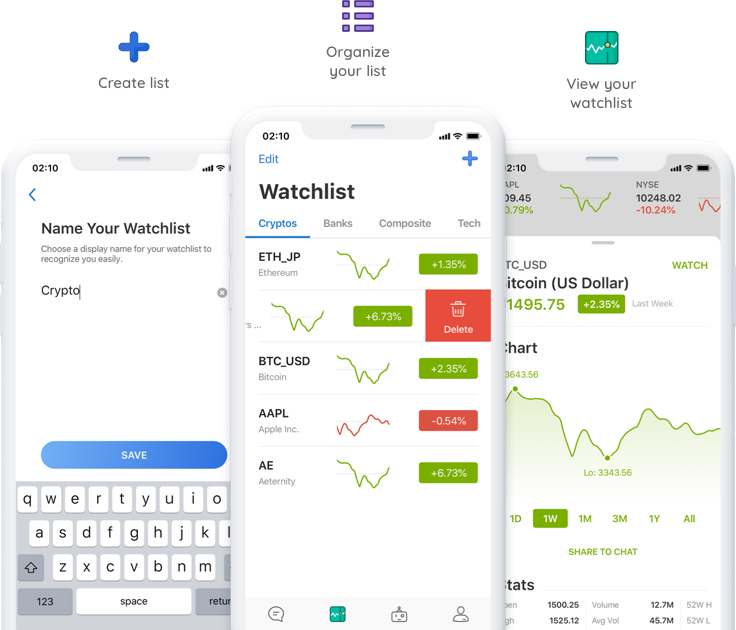 Build, name and organize your favorite stocks or cryptocurrencies. Monitoring made easy. TK has over 20 years of experience in the trading technology industry. During his early days, he built trading systems and strategies for top tier investment banks. Technologist at heart, he spent the last decade on building one of the most advanced high frequency trading technology and platform at Grasshopper, a Singaporean trading firm. He developed relationships within the APAC region and in the US, allowing them to operate across major regulated exchanges such as Tokyo Stock Exchange (TSE), Osaka Stock Exchange (OSE), Singapore Exchange (SGX) and Chicago Mercantile Exchange (CME). TK has a clear understanding of what it means to find, implement and maintain a trading edge. He will bring to ChatQ his expertise in building best-in-class infrastructure and technology architecture. Delphine spent the last 10 years of her career helping large corporations and private equity firms to shape, discuss and execute strategic investments and partnerships in Europe and ASEAN region. Her investment oriented mindset will help ChatQ in fund raising campaigns, whilst her busines development skills will help us find like-minded stakeholders. Meticulous and disciplined, her attention to detail make the difference in the long run. Delphine is bringing the essential market awareness needed to spot and build strategical partnerships for ChatQ. Investment Manager for various investment banks, Jérôme spent time building tailor-made financial solutions for private and institutional clients for the last 10 years. Understanding at a deeper level what the client needs has always been his key priority. Profitable proprietary trader since 2013, Jérôme brings his understanding of the retail market and creativity to provide the best solutions to the market. 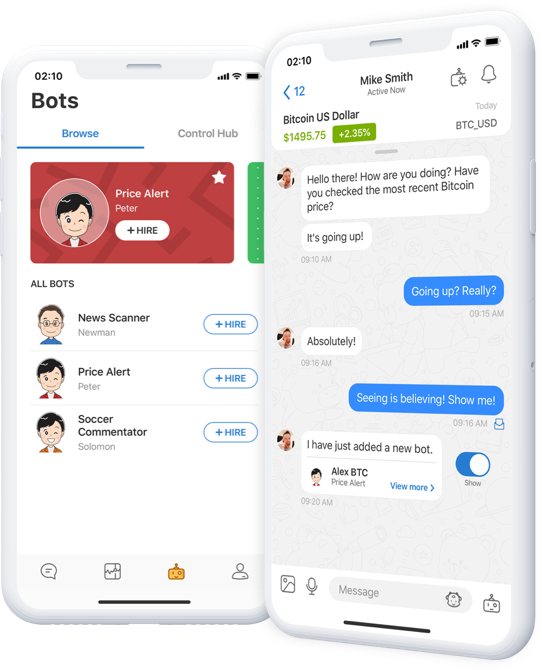 With continuous market research and user testing, he is making sure ChatQ is understanding the aspirations and goals of the users at all time. Kiley is our Corporate Planner responsible for directing our corporate direction, liaising with external lawyers and third party vendors, whilst dealing with day to day commercial issues. He will also help in the preparation of the business scale-up. Kiley is a qualified lawyer, having been admitted into the Bar in England and Malaysia, and currently practices as a solicitor in England. Now a consultant, he was previously a partner in two firms in England, headed up a Corporate Commercial Department and was part of the firm’s senior management team. Alghani spent the early days of his career creating creative contents, from fashion spreads to fashion articles for fashion titles such as Esquire, FHM Collections and Harper’s Bazaar. Moved to the other side of the fence in 2009, Alghani helped fashion brands including Anya Hindmarch, Calvin Klein, Kenzo and Moschino to gain and maintain their presence in different markets through PR. 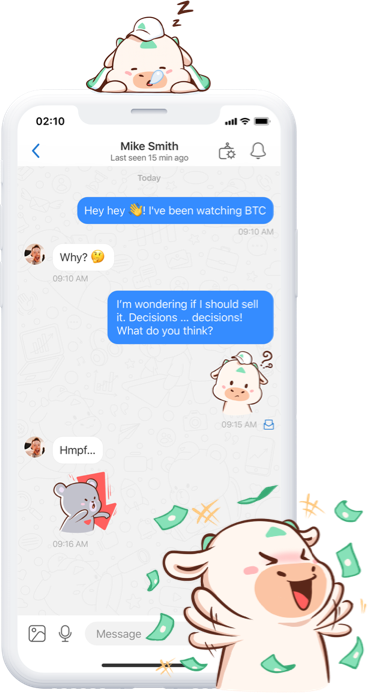 His professional background, strong interest in design and attention to details will help ChatQ build and present a product for finance people in non traditional way. Marion has extensive experience in cross functional Marketing and business development roles across 4 countries working in different industries and sectors, spanning from cosmetics, to fashion and travels. She is a key asset to enhance ChatQ’s digital strategies, build a strong digital eco-system, and engage ChatQ’s community. Nam started his journey in the FinTech industry by working as a Marketing Intern at Infinity Blockchain Labs, a Ho Chi Minh City based research and development company. He was a part of the team members who successfully doubled the size of Infinito Wallet’s community. Marketing, technology and entrepreneurship are also his subjects of interest. He expressed his strong enthusiasm by participating in several marketing competitions. Being the first winner of National Apprentice Tournament 2017 is one of his biggest achievements. 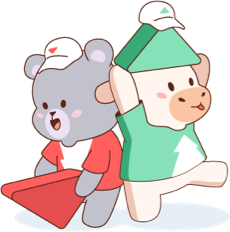 Being a Marketer at heart, Nam will bring his expertise to build ChatQ community of users. ©2019 Qtee2 Pte Ltd., All rights reserved.